This is a fundamental truth about natural healing. 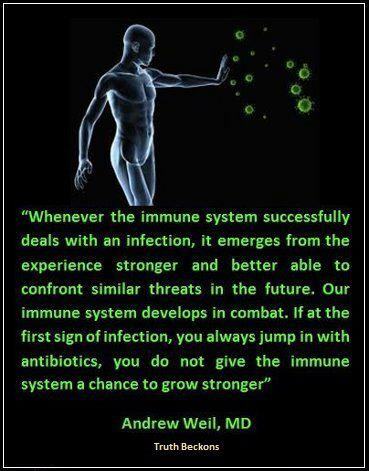 The overuse of antibiotics has gotten in the way of health and healing, not allowing our immune systems to strengthen. Although antibiotics have their place, they are clearly overprescribed and overused, and this has not been good in the long run. What is your opinion?